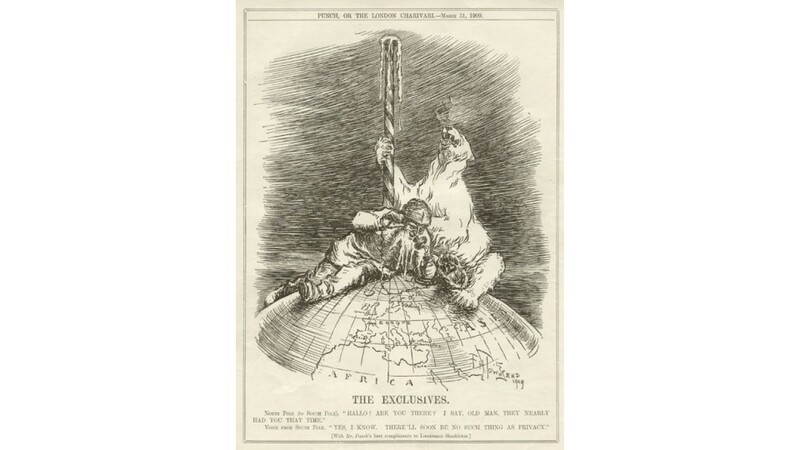 English early 20th century caricature from Punch. The Exclusives: North Pole (to South Pole) "Hallo" "Are you there? I say old man, they nearly had you that time. "/voice from South Pole." 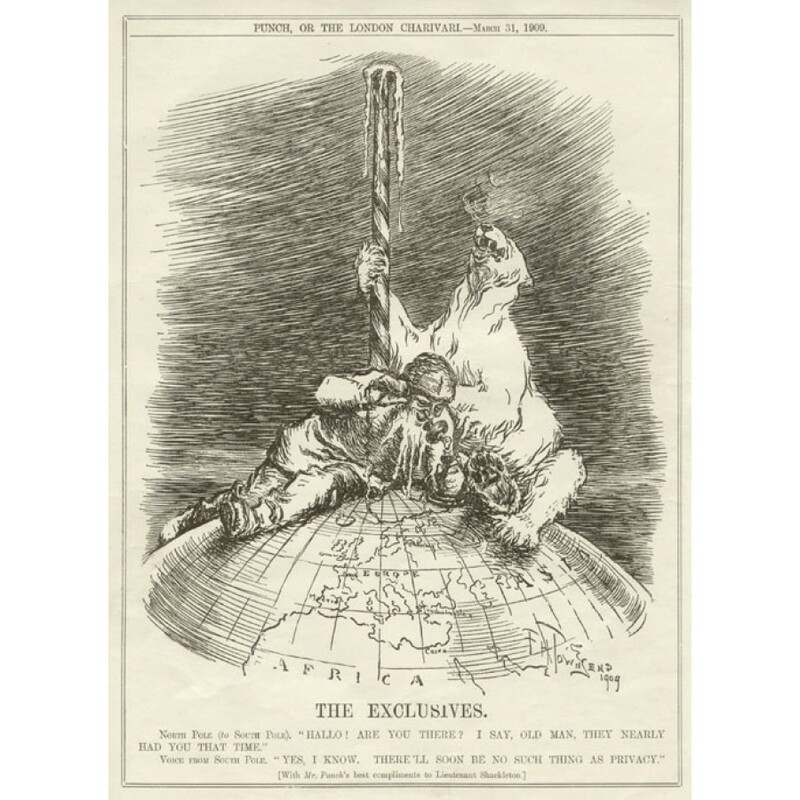 Yes, I know - There'll soon be no such thing as privacy" (With Mr Punch's best compliments to Lieutenant Shackleton)' Signed and dated in the image 'FH TOWNSEND/1909'. Townshend's cartoon celebrates Shackleton's new southern record, reaching 8823'S, just under one hundred miles short of the South Pole on 9 January, 1909.